January First Five Pages Workshop Opens on January 3rd! Note 1/3/15: The workshop is full and we'll be notifying successful submissions this afternoon. If you didn't make it into the January round, please remember that new workshops open at noon on the first Saturday of every month! And please stick around to watch and comment on this month's entries and revisions! I was sad to see the First Five Pages December Workshop come to an end. What a talented group! Everyone worked hard on their revisions, gave thoughtful comments, and connected on the workshop’s Facebook page. A huge thanks to our guest mentor, Peter Salomon (if you haven’t read his fabulous book, ALL THOSE BROKEN ANGELS you should!) and also to super agent Ginger Clark. Both provided great feedback. Our January workshop will open for entries at noon EST on Saturday, January 3, 2015. We'll take the first five Middle Grade, Young Adult, or New Adult entries that meet all guidelines and formatting requirements. I will post reminders here, at Adventures in YA Publishing, and on twitter (@etcashman). We usually fill up in under a minute, so get those pages ready! 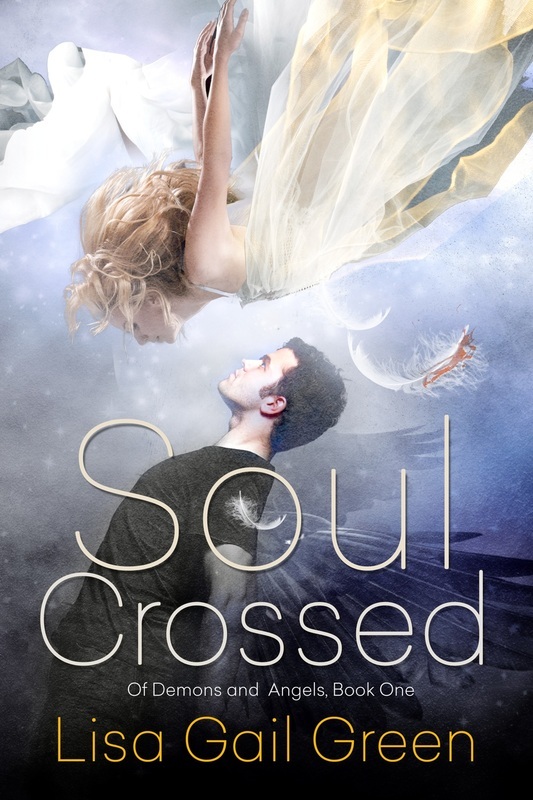 In addition to our wonderful permanent mentors, we have our own Lisa Gail Green, whose newest novel, SOUL CROSSED, will be published on February 25, 2015 (how gorgeous is that cover?!!) and agent Tracey Adams! 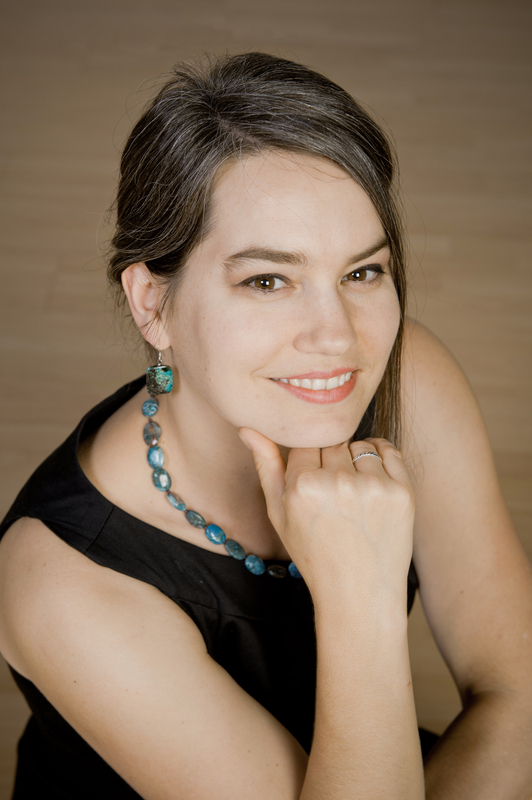 JANUARY GUEST MENTOR: LISA GAIL GREEN! Lisa Gail Green lives with her husband the rocket scientist and their three junior mad scientists in Southern California. She writes books so she can have an excuse to live in the fantasy world in her head. She has a parrot but would most definitely get a werewolf for a pet if she weren't allergic. Lisa’s paranormal fantasy, SOUL CROSSED, will be published on February 25, 2015, and THE BINDING STONE is available now. We are thrilled to announce that Tracey Adams, of Adams Literary, will be our guest agent for January! A graduate of Mount Holyoke College, Tracey speaks frequently about her profession and the children's book industry at conferences across the country. She is a member of the Society of Children's Book Writers and Illustrators (SCBWI), the Association of Author Representatives (AAR), and a founding member of the Women's National Book Association (WNBA) chapter in Charlotte, NC. In her spare time, Tracey enjoys Taekwondo, kickboxing, and test-marketing children's books with her two daughters. This is a story I don’t like to tell. Not for how it starts – the beginning is exciting, and magical. But for what happens next – for the grief, and the dying. For what I did and all it caused. But you’ve asked, and so I’ll tell you. It began with the fireflies, as magic often does. I was out in the field behind my grandparents’ house with my brother, Billy. We were chasing fireflies. Billy never catches them, he’s too jumpy, but I know the secret: Find a good one, and stick with it. I had a good one. It was swollen from the hot day, flying low and lazy. I held tight to the blue jar my father gave me – one of the few things I brought from Chicago – and crept up to the firefly. I reached for it, but it darted past the shed. I pursed my lips and narrowed my eyes. You’re not getting away that easy, mister. I followed the firefly into the woods. Little sticks and sharp pebbles replaced the soft July grass under my bare feet. That should have been a sign – the woods knew I didn’t belong there, and tried to urge me away. I didn’t feel that then, though, or didn’t care. I clattered into that hallowed place without a thought for anything but a tiny flashing light. “Jen-ny,” Billy called. He was nine, two years younger than me, and always wanted me near, especially now that our parents were so far away. I felt no such tether to my little brother, and left him behind. I left them all behind – my grumpy grandparents and their boring old house, my parents a million miles away. The firefly flashed just past a low bush. It was close, I could get it. I tiptoed toward it. It sparked and like that was a signal, I launched myself over the bush. I came down hard in a mess of leaves and legs and dirty red ponytail. The firefly looped off unharmed. I guess Billy wasn’t the only jumpy one. As I got up and brushed myself off, I saw that I’d torn my skirt. Darn. It was my very favorite skirt, long and purple with silver threads running through it. It was nearly threadbare and Mom kept wanting to throw it out, but I liked how soft it was. Well, maybe Gran could sew it up for me. I tucked the jar into my pocket and looked around. I was farther into the woods than I’d thought. I had to get back. Gran told Billy and me the woods were off-limits when we arrived. Of course, everything interesting was off-limits here – the barn, the shed, the attic. Three weeks in Maine and I hadn’t seen anything more exciting than The Price is Right. The forest sure was pretty, though. The sun was going down and it made the green leaves look almost golden. They waved like butterflies as I walked. I inhaled the smell, like pine needles and honeysuckle, and tried to hold it inside. Maybe I could stay for a minute longer. These woods were different from the ones back home. They seemed older. The trees were knotted as Grandpa’s knuckles. It got a little darker as I got farther into the forest and the leaves grew thick overhead. Some purple flowers nestled in the roots of a tree that split in two and grew over itself like crossed fingers. They were so pretty, like little purple stars. I bent down to pick a few for my hair. Just then, though, I heard a noise in the bush to my right. An elf? Well, she’s a silly little one. Was she trying to be funny? She was probably a dwarf. That’s what they were actually called, right? And she wanted me to come help someone? That was ridiculous. I wasn’t even supposed to be there. I should turn right around and go back to the house. I looked back at the house - the boring old house where nothing ever happened and no one did anything. “He needs you, no time to wait,” the woman said, and she turned and walked away. I stood there for a moment, playing with my horseshoe necklace. She was asking for my help. She didn’t seem dangerous. I’d been stuck in that house for so long with my annoying brother and barely a word from my parents. A little adventure wouldn’t be so awful, right? I’d go. Just to see, just for a minute. I wouldn’t go far, and then I’d come right back. Billy wouldn’t even miss me. I gave my necklace a quick kiss for luck and ran after. “Where are we going?” I called to her. “Who?” Who were these people? Kharoun? Magda? Were they foreign? Where was she taking me? “You’ll see, you’ll see. Move along. Got sap in your legs, eh?” She made a sound like a car engine backing up that I realized after a moment must be laughter. It was getting dark. I slowed. I was going too far. Billy must have noticed I was gone by now, and maybe he’d even told Gran and Grandpa. I was going to be in such trouble. My stomach hurt at the thought of it. Gran and Grandpa were really strict. I got in trouble the second day just for grabbing some chips before dinner. I had to go back. This little woman and whatever help she needed – well, she’d have to figure it out on her own. I turned around. I didn’t know where to go, though. We weren’t on a trail, and all I could see were trees and more trees. I didn’t even have a flashlight. What was I thinking following a stranger into the woods? I looked back toward Magda. It took a second to find her slipping through a honeysuckle bush. A light shone beyond her. A clearing, maybe. The moon must be up. Was that it? Were we there? My brother Raj put his cup of espresso down with a sharp click against the saucer. “Remind me why we’re in Italy, Sasha?” From across the metal café table he shot me his evil grin. Then he stole my biscotti. We were at a small café in Rome, next to the colossal Bank of Italy, and not far from the city’s largest university. Crazy Italian drivers raced through the cobblestone streets, filling the air with echoes of blaring car horns. A conveniently placed palm tree hid our table from the bank’s security cameras. Rather than answer his question, I looked down at my book and kicked Raj’s ankle with the pointed toe of my high-heeled shoe. While he’d been watching the bank, I’d been checking out the cute college guy sitting at the next table. He spoke with a delicious Scottish accent and swoon-worthy golden red hair fell into his eyes. But scoping out hot college guys was not the reason Raj and I happened to be in Italy. “The limo’s here,” Raj whispered in French, which we usually spoke to each other, though it wasn’t the first language for either of us. All traces of humor had vanished from his face. A black limousine pulled to a stop in the no-parking zone in front of the bank. The chauffeur marched around to the sidewalk, nodded to the security guard and opened the rear door. After placing her cane on the pavement, an elderly woman emerged slowly and took the chauffeur’s arm. The diamond choker around her neck caught the sunlight and sparkled. An aura of old-fashioned glamour surrounded Signora D’Agnelli. I’d seen all her movies too, though not a million times. “She’s still so lovely,” I said softly. “Sasha.” Raj fixed his dark eyes on me. “What?” I put my sunglasses on. “I’m completely detached.” Of course I hadn’t told Raj about the copy of Life Magazinewith Signora’s wedding photograph on the cover I’d bought at a used bookshop in Paris. The guard tipped his hat and smiled as he held open one of the bank’s heavy carved iron doors. After Signora disappeared inside, I tried to focus on my worn copy of Sense and Sensibility but I ended up reading the same line about the dashing Mr. Willoughby at least a dozen times. Poor Marianne. I’d have fallen hard for him too. Luckily I’d read Sense and Sensibility a few times before. Had anyone felt like striking up a conversation on Jane Austen, I’d have been all set. Arguing about a lacrosse game in a mixture of English and Italian, the boys from the next table got to their feet. The Scottish guy lifted a backpack so crammed with books he couldn’t get the zipper to close. As he passed me on the way to the sidewalk, he caught my eye and winked. While my cheeks burned, I slumped in my chair and hid behind my book. Then I bit my cheek to keep from laughing nervously, relieved that Raj still had his attention pinned to the bank. The teasing would have been merciless. A gust of wind carried the scent of brewing coffee and ruffled my shoulder length hair. Yesterday I’d dyed it from a blond the color of buttermilk to brown. Not a striking copper or a deep chestnut, but a brown that could only be described as brown. Grey contact lenses toned down the vivid color of my blue eyes. Cornflower-blue, my father had called them, just like his own. In my silk blouse and pencil skirt I blended seamlessly into the business district. As for Raj, I’d managed to tame his unruly black curls into a straight ponytail. His oxford shirt masked the tattoo between his shoulder blades of the Chinese characters for genius and he’d removed all his earrings. Grudgingly, he wore the conservative tie I’d chosen but he’d also put on his battered old running shoes. Maybe he’d pass for a quirky advertising copywriter. Continuing to ignore the playful looks one of the girls from the university had been throwing at him for the past half hour, Raj pulled out his phone and updated me on the stock market. But I barely heard him. Instead I found myself listening to the students as they talked about stuff I could only imagine was typical. Classes. Movies. Music. Someone mentioned an upcoming election, which led to a lot of groaning and eye rolling. Though we’d taken a lot of classes online, neither Raj nor I had ever gone to any kind of formal school. Dad had taught us about art and history as we’d trailed behind him across Europe, Asia and America in search of our next big heist. Along the way I’d learned a bit of Greek and Mandarin and could switch from French to Italian to English, no problem. Besides cracking open safes, accents became my specialty. Everything I knew about school I’d learned from reading American novels. To be honest, the trials of high school sounded a lot scarier than the thought of breaking into an Italian villa and stealing millions of euros worth of diamonds. I allowed myself a little daydream about a backpack of my own and a class on Nineteenth Century fiction in an ivy-covered lecture hall. And an adorable Scottish boyfriend to meet for coffee. In college Sasha Laurent, seventeen year-old-veteran-jewel-thief, could become anyone she pleased. I could reinvent myself. With a nod of his head, Raj dragged my attention back to the bank. The security guard held the door open again. Wearing a tie very similar to Raj’s, the bank manager appeared with Signora D’Agnelli on his arm. In her right hand Signora carried a red leather box the size of a hardcover book. Inside the box rested a necklace made from two hundred glittering carats of oval, pear, and round brilliant white diamonds. I imagined Signora standing in a spacious walk-in closet and turning the dial on her safe. The door would spring open. She’d reach for the lovely red box and unfasten the clasp, but inside she’d see nothing except plush red velvet. In my imagination her maid caught Signora as she fainted. The day the preacher called me cursed, I knew my life had changed. His words burnt into my brain the way lightning scorches a tree. It didn’t kill me, but it sure did sting. I wished she would have let me talk about it. I had to swallow my worry where it settled in my belly like a serving of Mama’s Brussels sprouts (no cheese). That was the day my stomach started hurting and no amount of pink Pepto-Bismol helped. Ever since I could remember, my gut talked to me, but I decided right then to never again listen, no matter how insistent it became. You can imagine my alarm when the very next day, deep down, in the part of me that knew things my mind didn’t understand, I got that flutter. My head went to war with my gut, but lost quicker than a snow cone in July. When I had that feeling, I had to move, and wherever I ended up, trouble would be waiting. Always. And if the preacher was right, it would be my fault. I jumped on my bike and shot off. I should have grabbed my jacket. The wind whistled clean through my New Kids on the Block t-shirt. Cursed, cursed, cursed floated in the air as I rode down the middle of the street. I passed Tanner Wilson’s house, hoping he wouldn’t be out, but luck wasn’t with me. He was usually the one causing it, so Tanner liked to follow me if he thought there was some coming. He seemed more interested than usual, which made me think he’d already heard what the preacher said, even though Tanner had snuck out after Sunday School. When you live in a town as small as Blue Springs, news zips around faster than Michael Jordan going in for a lay-up. And if it’s something you don’t want told, it’s like a slam dunk – exciting for everyone but the person who got schooled. Sure enough, Tanner jumped on his bike. I stood to pedal faster. “Shut up, Tanner. You know I don’t look for it.” I got my bike for my tenth birthday, and since my legs were almost two years longer, it jerked back and forth. Tanner paced me on the beat up bike he’d found at the junk pile. He could have bought a new one with the money he’d spent on his Air Jordan high-tops, but he was pretty proud to be the first boy at school to get them. His bangs flopped in his eyes until he untwisted the Nike sweat band from his wrist and tamed them. We skidded into the playground in time to see Nick Fuller go sailing off a swing. He rolled on the ground, crying, and holding his foot. Nick was part of our gang of friends, but only because there weren’t that many kids in Blue Springs. I threw my bike down and ran to help, but Nick kicked at me. I didn’t know whether to laugh because that was so ridiculous or cry because he believed it. What I wanted to do was yell at him. What I wanted to do was kick his good foot. Instead, I sucked in my lip. Once again, I’d arrived too late to stop the trouble. And that was my curse. Last winter when Tanner fell through the ice, I ran up as Nick’s daddy pulled him out. When Mrs. Higgins fell at the post office and broke her hip, I showed up before the ambulance. When the library caught fire and almost burned to the ground, my gut sent me flying on my bike just as the flames shot out the front window. I could go on, but you see what I mean. If there was trouble, I was there. Pretty much everyone in town knew how my gut worked. That’s why the preacher called me cursed. Since Nick didn’t want my help, I grabbed my bike. Tanner could help him. That was Tanner for you. I took my time going home, needing to ponder my fate. I was used to being different. Daddy was black and Mama was white. It didn’t bother me being the only family in town that wasn’t all white. But being proclaimed cursed? That bothered me a lot. At the edge of town, I stopped. I wasn’t allowed to ride on the country roads. I gazed at the green sprouts poking up in straight lines in the cornfield, while my thoughts went round and round. Nick would tell the kids at school I was cursed, and I already got called names I didn’t dare tell Mama. Daddy called her feisty, but I called her embarrassing. If I told her about Nick calling me curse girl, I don’t know what she’d do. My daddy was right about me and trouble. It got to be that sometimes no one wanted me around, they were so afraid of trouble coming. Except I didn’t bring trouble – it brought me. Unless the preacher was right. The next Sunday, we stayed home from church. That was fine with me. I never liked sitting that long, listening to a grown-up man wearing a dress, telling me I was going to you-know-where, unless I repented my sins and got dunked clean under in the water of baptism. Especially one who thought I was cursed. Tanner’s mom made him get baptized, on account of him being so much trouble. He bragged about how he made sure one pinky finger didn’t go all the way under. I didn’t think I’d brag about going to you-know-where for lack of one finger getting wet, but then I wasn’t Tanner Wilson. Meg was staring unseeingly at the board, silently groaning to herself. She was sitting in her English class, listening to yet another boring lecture from her teacher, Mr. Parker. Last time she had checked, he was droning on about symbolism in classic novels. She, however, was staring at Tazity’s new haircut. The geeky girl had chopped off everything but a few inches and it looked horrible. Meg couldn’t believe she had come to school looking like that. Or maybe she didn’t own a mirror. That would explain her normal look, anyway. He frowned. “Because I said so.” A couple of girls snickered and Meg sighed. The class was long enough. The bell rang through the school. Meg stayed in her seat while everyone else filed out. 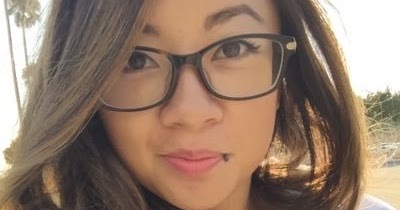 A few of her friends gave her sympathetic glances and one girl smirked over her shoulder. Meg flicked her off and looked away. No, no, no. This couldn’t be happening. Meg couldn’t stand failing a class. She came close once and the disappointment in her dad’s eyes every time he saw her just about broke her. Meg grabbed her backpack and ran out of the classroom before slowing to a walk. She had to look calm. The world couldn’t know she had just begged to redeem her grade in an English class. "Meg!" At her locker, Meg turned and saw Aria, her best friend, running towards her, waving her arms. "Are you still mad at me?" "You know I can't stay mad at you." Aria was supposed to pick Meg up for school that morning; she’d blown it off to hang out with her new boy of the week. "Good. Because I dare you to do something." Mischief danced in the girl's eyes. "Uh oh. These never end well." "What do you mean, they never end well? I've never dared you to do anything too extreme." Meg scoffed. "Aria, you dared me to egg Sam’s car last year!" "Yeah, but you did it, didn't you?" "Oh, whatever! So what is it this time?" Aria smiled. "Not yet. I'll tell you soon." With that, she grabbed Meg's hand and practically dragged her out of the school and towards the fountain. As soon as they got close, though, Aria pulled Meg next to the building and held a finger to her lips. "When I say so, look around the corner. Ready?" Meg nodded. "Okay. Go!" Meg's neck popped as she jerked her head out. She didn't see anything of importance, just a few kids trying to swim in the water. "What are you talking about? There's nothing there." "Oh but there is. There is a boy sitting in the corner, reading and jamming to music. Look again, and pay attention this time." Meg peeked out once more. Indeed, she did see a boy that seemed familiar sitting alone. "Okay, so there's a guy over there. What gives?" "Rumor has it that he's, like, obsessed with you. I mean, crazy in love. Macy heard some guys talking about it at lunch." "Wait, really?" Meg could see in Aria's eyes that the girl wasn't lying. "Oh my gosh, ew! He's, like, a total dork. As if he'd even have a chance with me." Both girls laughed at that. Once they quieted down as to avoid being spotted, Aria cleared her throat. "Exactly my point. He's a freak, and doesn't even deserve to look at you. So, I was going to have a couple of the basketball players challenge him to a fight, but I didn't want to get arrested if the guy got himself hurt. Instead, I was thinking you could help out with this." Meg grinned wickedly at Aria. "What do you have in mind?" "I was thinking that I dare you to ask him out." Meg turned her head so Aria wouldn’t notice her pause. Lately, Aria had been going farther and farther with her dares and Meg had started to feel bad for some of her victims. But she had worked hard to be top of the school; she wasn’t about to lose it now. "I'll do it." Meg was already working out the best way to confront the guy, whom she did not even know. "He's Jason Michaels, junior," Aria supplied. "Go on. Get out there. I want this recorded." Meg laughed and then strutted out from behind the building, making sure every curve of her body stood out as she walked to the corner. "Jason?" Oh, he was kind of cute. Fluffy black-brown hair and blue eyes that flicked up to meet her face. The boy pulled his headphones out and threw a casual smile her way. A smile that lit up his face and made Meg feel safe. Man, this would be hard. "Yeah? What are you doing here, Miss Popular?" His response took Meg by surprise. Not many people had the nerve to answer her without stuttering. "Well, I've seen you a couple times, and I think you're really cute.” Not a lie. “And...well...I was kinda hoping that--"
The boy stared at her, slightly blushing. "Yes?" Meg shot him her sweetest smile and stuffed her hands into her pocket to make herself look more awkward. "I was wondering if you'd like to go out with me?" Jason narrowed his eyes. "Me? But you don't even know me." "I know, but I really want to. And what better way than to chat over coffee?" This has to work. Aria will kick me to the bottom if I fail one of her dares. Jason’s eyebrows knit together, but a smile tugged at his lips. Finally, he stood up, he face a mixture of confusion and excitement. "Wow. I mean, I'd love to. Really. I just thought that--well, I've heard the rumors. So I never thought that you would even notice me. But I've liked you for a while and this is great. Yes!" A rude laugh made him pause. "Cut!" Aria stepped out from behind the fountain. "Good job, Meg! The freak thought that somebody actually liked him! Let's go, before you're late home." Meg glared at Aria. She had actually been considering taking him out to coffee before Aria interrupted. She turned to leave, but not before looking back to Jason. If he had been blushing before, he was a lobster now. He was staring directly at the camera, horror painted on his face. Yet nothing compared to his eyes. They were wide with pain and Meg saw rejection flash in them before he looked at the ground. Meg backed up and her face stung as if he had slapped her. "Screw you." He turned his head and sprinted in the other direction. Aria choked her laughter down and watched her victim run away. Aria couldn’t force herself to fake a laugh. It’s the footsteps in my dream that tell me Nadu is coming. The sound of her feet on the hard wooden floor echoes in my head. I ignore it, fighting for a toehold in the story my brain has given me while I’ve been sleeping. The words collide with my dream just as warm hands grip my shoulders, startling me awake. My dream scatters, and I force my eyes open. Nadu stands over me, her grey hair barely visible in the dark room. Sweet fate, not again. I rise up on my elbow and glance out the window. Darkness presses through the glass. There’s no telling how late it is. I roll my eyes. Of course they do. Tossing back the covers, I stand and thrust my legs into the pants Nadu hands me. She doesn’t have to tell me to hurry like she does the others. I’m old enough to know we don’t have the privilege of extra time. And besides that, the disapproving glare and extra chores I suffered from Nadu the one time I didn’t move fast enough have kept me from lingering ever since. I glance down the length of the room all ten female heralds share. The rest are all still sleeping. Eleven boys are in the room across the hall. Twenty other people they could send, but instead this is my third interrupted night of sleep in recent weeks. I suppress a sigh, careful of Nadu’s presence. The cold from the wooden floor creeps into my bare feet that I quickly shove into boots. I tiptoe past the other beds and grab my cloak. The braid I sleep in hangs loose and messy over my shoulder, and I suppress the twitch in my fingers to fix it. I follow Nadu to the door. “Should I spare you the lecture on how to act?” Nadu flashes a cheeky grin. I have been here for five years. Not the oldest herald, but I’ve been called to the Council more often than all the others put together. No use complaining about what I can’t control, even if it leaves me with little sleep. And it’s not like this isn’t worth it. The Council and the things they have me do are keeping our people alive. I bend down, kissing Nadu’s cheek. Her skin is old and wrinkled, and has been as long as I’ve known her. What was Nadu like before she was old? I can’t imagine her as anything but weathered. She holds the door open, and I step out into the darkness. The woods are quiet, and I relish the stillness. The cold air nips at my cheeks. Spring has finally found us here in Ilan, but as usual, will be late in showing herself and forcing out the chill of winter that still lingers in the night air. At least the cold will help me wake up. Darkness blankets the path as I weave through the forest. The huts I pass barely stand out, wedged in between trunks as though they sprouted from the trees themselves, those inside fast asleep behind the rough wooden doors of their homes. Fires dance here and there, the towering trees above me holding the heavy thickness of their scent close to the ground, as if they are unwilling to let anything out, even the smoke from our fires. Just another thing in Ilan I can’t escape. No light comes from the Council building, but its rounded walls peek through an opening in the trees. I reach one of the outside doors and walk in without knocking. If the Council summons, it means they don’t want to waste time with politeness. I ease the door shut behind me. Wide steps lead down to the front of the room where the Council gathers around their table. All the chairs in the amphitheatre are empty, as they so often are these days, the Council instead meeting in hushed, frantic tones as they do now, seated before me. Candlelight bounces off their faces. The rest of the room lies bathed in darkness. I stand and wait. Even if Nadu hadn’t trained me to be silent and ready, I think I would still tuck myself in the safety of the shadows. It’s amazing what you can see when people don’t think you’re paying attention. Soft murmurs bounce off the walls around me. The room has the feeling of secrets. Nadu has given me Marion as my trainee. She is young, just thirteen. Nadu wouldn’t let us put our pinky fingers through a portal before she has trained us for a solid year. Marion is capable, of course. It’s a brutal, but thorough training we heralds receive. Nadu sees to that. But heralds always start by going with someone more experienced. And as I’ve passed through about as many portals as I have actual doorways in the past couple of years, Nadu uses me to train the others rather frequently. And for whatever reason, Rynn insisted I take someone with me. Marion’s dark hair is pulled back into a messy braid. I move and stand behind her, undoing the braid and doing it again, neater. Marion fidgets, and I smile down at her dark head bobbing in front of me. She hasn’t traveled to another world yet, and her excitement practically reverberates off her skin. I wonder when I lost that excitement, if I ever had it. Usually all I feel is anxious, and intent on my task. I finish the braid and drop Marion’s hair right as she nudges me. I look up to see our seeker coming toward us. Her hair is a mass of thick red waves that cascade down her shoulders, and her creamy face is dotted with freckles. Far from detracting, they only add to her beauty. She’s so pretty you would want to befriend her just for that reason, but her green eyes are so intense I bet she intimidates most she comes in contact with. She walks with an air and confidence some would say is cocky. If she is cocky, it’s deserved. Seekers have a gift, the rarest and most coveted. They find stories.